Listen: Pusha T "Peso (Freestyle)"
It&apos;s no question ASAP Rocky is the man of the hour. Later today, he&apos;ll be dropping his first full-length project, Live.Love.ASAP, featuring the fan-favorite "Peso." Having said that, Pusha T of the Clipse looks to get in a jab before Harlem&apos;s newcomer drops the hammer on us. 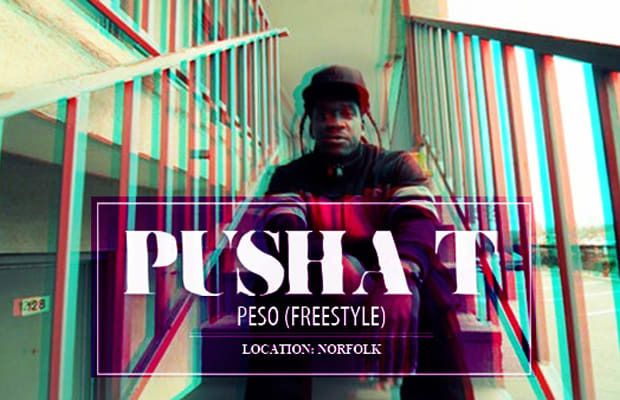 Listen to Pusha&apos;s short freestyle over "Peso" below.